Dr. Soong-Chan Rah enjoys helping students find answers to difficult questions. “Working in ministry, you start to ask good questions that you don’t have easy answers to. The questions you’re asking are deep, important questions. At North Park, you’ll examine real-life scenarios that people encounter, allowing for theological engagement of practical ministry,” says Dr. Rah. For Dr. Rah, engaging in urban ministry is a passion. “The urban environment is complex, constantly changing, and always challenging.” His classes enable students to identify the skills necessary for practicing sociology-cultural analysis, expanding their understanding of the relationship between the church and the urban setting. “Anytime we can deepen the theology, it’s a good thing. Also important are spiritual formation and discipleship. All of these serve to strengthen our work,” says Dr. Rah. Dr. Rah sees North Park’s location as an important piece of what the Seminary provides. “Chicago is part of the classroom we’re offering. Being based in Chicago is a tremendous advantage. It is a center for community development, community organizing, and ethnic diversity, with multicultural neighborhoods,” remarks Dr. Rah. Soong-Chan Rah on living an embodied religious freedom. Soong-Chan Rah on acknowledging the prophetic work that's already present in the neighborhood. Are we faking our way though happy worship? 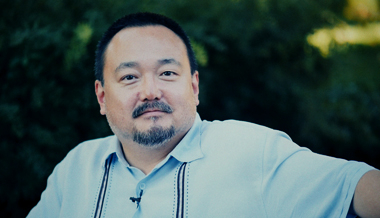 Soong-Chan Rah shares his story and a few thoughts on God.